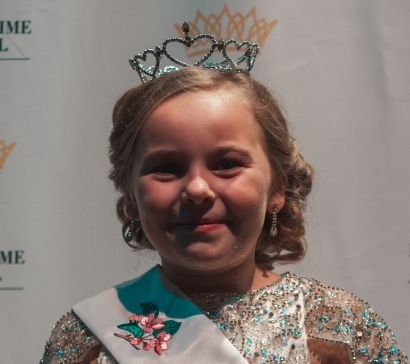 Forty-one children between the ages of 6 and 12 competed Saturday November 17th for the titles of Blossomtime Bud Prince & Princess and Miss Jr. Teen Blossomtime. The pageant was held at the St. Joseph High School Auditorium. Tying into the 2019 Blossomtime Theme; “America, the Places You’ll Go”. The contestants performed a dance choreographed by Cammie Hernandez of Connie Cassidy School of Dance to the song “You’re Welcome” from the movie Moana. Pageant Chairmen Kim Hauch and Melissa Vegter created a beautiful stage and show. The pageant was emceed by Lindsay Zvonar. The Blossomtime Festival Bud Prince and Princess and Jr. 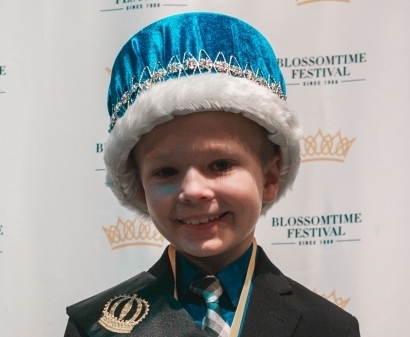 Teen will take an active role in the Festival by serving as Grand Marshals of the Youth Parade and Shoe Box Parade, riding on the Bud Prince & Princess/Jr. 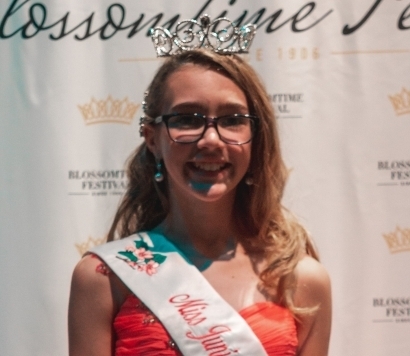 Teen Float in the Blossomtime Grand Floral Parade on Saturday, May 4th, 2019 and will participate in many other Blossomtime events, including the Coronation Ball, the Blessing of the Blossoms, attending many community pageants and being introduced on stage at the Miss Blossomtime Pageant March 11th, 2019. Enjoys going on vacation up north with her family, making slime and playing softball. Enjoys game nights with her family, reading and cooking with her mom. Enjoys family talk at the dinner table, going on vacation and playing softball. Enjoys riding bikes and vacations out west, Boys Scouts and swimming. Enjoys going camping, ice hockey and shooting his bow and arrow. Enjoys playing boards games with his family, fishing and playing video games. Participates in travel softball and basketball. Enjoys crafts and doing people’s hair. Participates in cheerleading and dance. Enjoys reading and dancing. Participates in dance, pottery classes and floor hockey. Enjoys crafting and making movies.